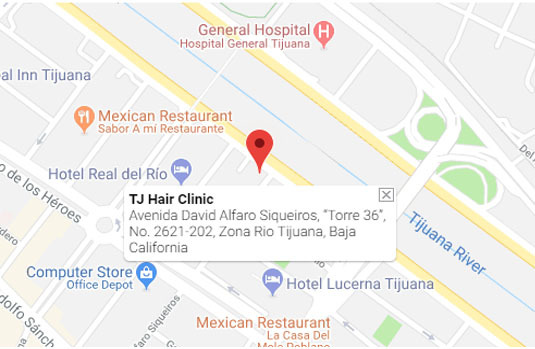 TJ Hair Clinic is the only BBB certified clinic in Mexico, specializing in FUE hair transplant technique at affordable low prices without sacrificing quality. We are US certified doctors and nurses that have pioneered FUE hair transplant in Mexico in order to offer our patients the most affordable prices possible, from around the world. The best hair transplant technique at the lowest prices from around the world. 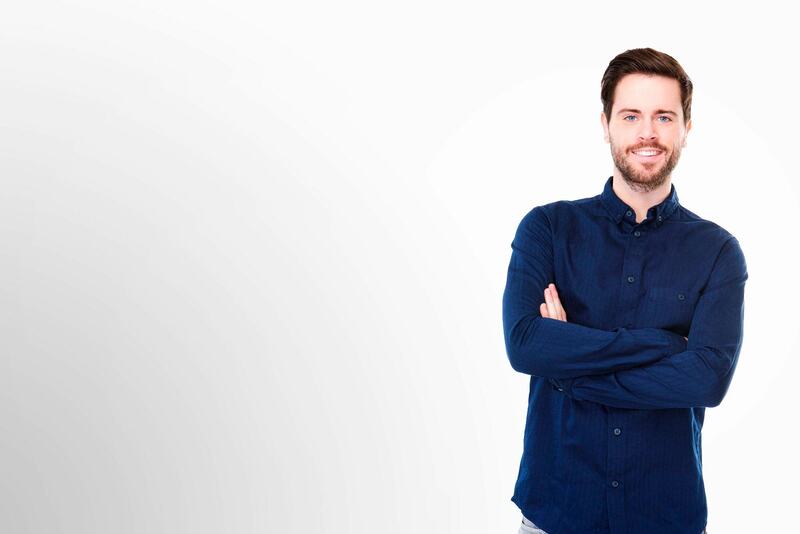 A good candidate for fue hair transplant is someone that has a stable supply of donor hair which is suitable to cover the current and future areas of hair loss. Find out if you qualify for free, in less than 24 hrs just send us your photos and answer a few questions here. What is PRP for hair loss? Platelet-Rich Plasma therapy for hair loss treatment is a non-surgical procedure that involves withdrawing a patient’s own blood and processing it so that only the enriched cells remain. These cells contain essential proteins that help stimulate natural hair growth and can be injected into the scalp. Does PRP injection therapy for hair loss hurt? PRP therapy for hair loss can make our patients feel a little uncomfortable and in some cases they feel a bit of pain. This is related to the type of anesthesia they want to use in their procedure. For more information, you can contact our medical team for free. Just send us a picture and answer a few questions, here. Does FUE hair transplant work? FUE hair transplant works immediately after the procedure is finished. You walk in and out of our clinic feeling and seeing the results immediately, and in the coming months the transplanted hairs begin to go through a natural cycle of falling out and then regrowing. You can chose to undergo further treatments if you’d like thicker hair. After about 6 months, your final results become evident. Your transplanted hair will last as long as it would have at its donor site. How much time off from work do I need for having FUE Hair transplant in Mexico? We recommend taking at least one full day off because treatment can take a few hours, depending on the quantity of hair needed. After the procedure is done, there might be some minor discomfort which is treated with light pain relievers and a bandage on your scalp. We recommend our patients to consider the days off by the type of work they have, some patients are able to return to work immediately on the next day. Find out the exact time off by sending us your details here. What is the average cost of FUE hair transplant in Mexico? The cost varies depending on how large is the area that needs covering. Our prices are the most affordable in Mexico and the world and we do not sacrifice the quality of the procedure. Find out how much it would cost you to have FUE hair transplant in Mexico here. At TJ Hair Clinic by Russald our FUE Technique for hair transplant works both in men and women and can be used in other areas of the body. Our patients come from all over the world and enjoy a minimally invasive procedure, pain free, with no adverse reaction to anesthesia and a minimal recovery process. Chris is a patient visiting from Anaheim, who knows and understand the mentality a lot of patients have when it comes to visiting Tijuana for a medical procedure. He previously worked in Tijuana and trusted he would be in good hands for his transplant procedure. In addition, he wants people to know that crossing the border doesn’t mean losing quality. They are a clinic of professional surgeons that offers a quality procedure with minimal pain at a more affordable price. Chris urges other possible patients to compare the price between a clinic in the United States and Tijuana. In addition, they will give you the best patient treatment answering all your questions at any time of the day and they make sure you understand the procedure and future results. TJ Hair Clinic is family! Dr. Scott Musinsky is a US doctor and gynecologist, that became a TJ Hair Clinic’s patient. 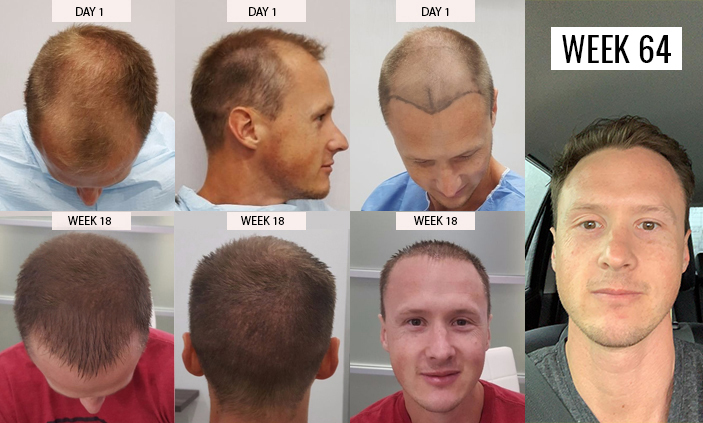 He found our website after a hair transplant conference and thanks to our treatments reviews, decided to visit our clinic for an PRP therapy and left extremely pleased with our minimally invasive treatment and the attention he received from our medical staff. 1 (800) 404 28 51. DAVID ALFARO SIQUEIROS 2621-202, Zona Urbana Rio Tijuana, 22010 Tijuana, B.C.